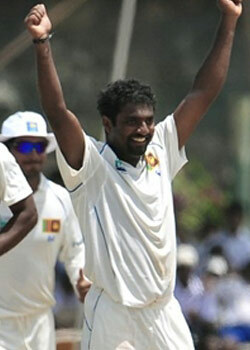 Muralitharan couldn't have asked for a better ending to his illustrious career. He took 8 wickets in this test match and led his team Srilanka to a victory against the top team in ICC test rankings i.e. India. India was bowled out for 338 in their second innings. Srilanka had to just make 95 to register a victory and take a 1-0 lead in the three test series. Srilanka reached the target without losing any wicket thus registering a 10 wicket victory over India. With this test match, an era of Muralitharan came to an end as it was curtains to his test career with 800 test wickets to his name.